Just sixteen years after the first Mormon pioneers entered Salt Lake Valley in 1847, George Taylor, a convert to the LDS Church from Birmingham, England, arrived in Utah, having walked most of the way. George arrived with the John W. Wooley Company of pioneers. With him was his wife, Eliza Nicholls Taylor. They had been married on July 4, 1857 in Birmingham. Also with them were George's parents, Thomas and Anna Hill Taylor. The first home for the George Taylor family was an adobe on First North between 6th and 7th West, then near the center of Provo. 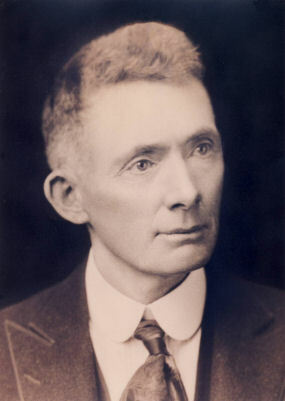 Thomas Nicholls Taylor was born on July 28, 1868, in Provo. He was one of eight brothers and sisters. In addition to Tom, there was Hattie [McClellan], Emma, Parley, George, William, Arthur, Walter and Ashted. Their father became a member of the Provo City Council, founded Taylor Brothers Company, and also served as a director of the Provo Commercial Savings Bank. He also married a second wife, Henrietta Sawyer, in 1865. Tom attended the Franklin School on 2nd South and 1st West. His principals included Anna Larson, L. A. Wilson, and George H. Brimhall. In September of 1878, young Tom started work in his family's business, at the age of 10. 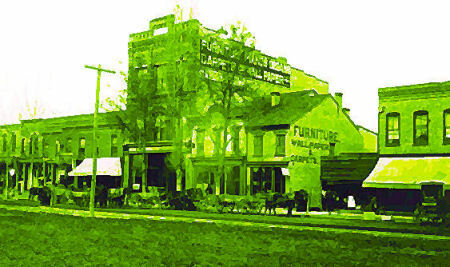 His grandfather Taylor had started a small furniture store along with a photography gallery. Tom's job was to deliver furniture on foot, often carrying six chairs in a load. When one of the daughters of Brigham Young, Zina Young Williams, moved to Provo to teach at Brigham Young Academy, her two sons, Sterling and Thomas Williams, became close friends with Tom Taylor. Aunt Zina, as he knew her, later married again and became Zina Card. On January 27, 1884 fire engulfed and destroyed the Lewis Building, the location of Brigham Young Academy. Tom attended the Academy, but now it was located in a temporary home in the ZCMI warehouse at the south end of Academy Avenue (later University Avenue). Among the subjects that he took there was an arithmetic class taught by Karl G. Maeser, one of the legendary founders of the Academy. Tom Taylor had to quit school in 1885, getting as far as our present day 8th grade when he was seventeen. Had he continued on to graduation, he would have graduated in the BYA high school Class of 1889, and he is an honorary member of that class. At seventeen Thomas N. Taylor (also known as T. N. T.) went into business for himself, with Julius Jensen, opening the first exclusively jewelry shop in Utah County. They kept their stock in one of the rooms of the Taylor Furniture Company, and sold goods from catalogues. In 1889, Thomas married Maud Rogers in the Manti Temple. They had nine children: Thomas Sterling Taylor; Ethel Taylor (Harvey) Sessions; Lester R. Taylor; Vesta Taylor (died at ten); Alden R. Taylor, Marion R. Taylor, Victor R. Taylor, Mary Maud (Merrill) Clayson; and Delenna Taylor [BYH Class of 1954] (Rex) Taylor. When his parents, George and Eliza, separated in 1889, his father kept the photography shop, and transferred the furniture business to Eliza and their son George. In 1890 at the age of 22, Thomas N. was named manager of the Taylor Brothers Company, with Eliza Nicholls Taylor, President; son George, Vice-President; John D. Dixon, Secretary-Treasurer; and son Arthur N. Nichols, a director. The Taylor firm built the county's largest building, the biggest retail store south of Salt Lake City. Thomas N. Taylor served as manager of the Taylor Brothers business for 60 years, from 1890 to 1950. But Thomas was more than just a businessman. For example, he was also an active church leader. For six years he was president of the YMMIA, served for nine years counselor to two different bishops, and for nineteen years served a bishop. Beginning in 1919, he served for twenty years as president of the Utah LDS Stake. He was ordained as a bishop by Apostle Reed Smoot and a high priest by Francis M. Lyman. Nine new ward chapels were built while he was stake president. Thomas had a great interest in the growth and progress of his alma mater, Brigham Young Academy, which was dissolved in 1903 and replaced by Brigham Young High School, and Brigham Young University. He served for twenty years as Vice President and Chairman of the Executive Committee of the Board of Trustees. He was elected Mayor of Provo for two terms (1900-1904). His aggressive leadership and positive thinking attracted the attention of political leaders and many voters. In 1900 as Mayor, he worked to have light poles erected in the middle of 5-rod streets, and managed to get a fence built around the baseball park on West Square, now Pioneer Park. He was in the middle of a battle to determine the location of the Union Depot, which was finally built on 3rd West. On July 12, 1901, Taylor led the efforts to change the name of Main Street to Academy Avenue. In the same year, street numbers were posted on Provo houses, and the city spent $1,000 to purchase a right of way to construct a road to Utah Lake. In 1902 the city approved a streetcar franchise for a system to run up Center Street to Academy Avenue, and then to Utah Lake, and back. Land was purchased to add to the Provo City Cemetery. Mayor Taylor favored public ownership of utilities and attempted to get the city to buy the Telluride Power Plant in Provo Canyon. However, his city council consisted of three Democrats and seven Republicans, and government ownership was not a popular issue. Also in 1902, Mayor Taylor ordered vaccinations for students in all of the local public schools, and as a result, he was burned in effigy, an act of protest seldom seen in Utah before or after. He was a champion of William Jennings Bryan, and introduced him in the Provo Tabernacle, where Bryan gave his "Prince of Peace" lecture. Taylor was an ardent champion of Franklin D. Roosevelt, and became a warm friend of FDR. Mayor Taylor stumped for prohibition. He was nominated for four other public offices, including City Treasurer, City Councilman, State Senator, and Governor. In 1920, he campaigned vigorously as a Democrat to become governor, but was not elected when Charles R. Mabey was swept into office in a Republican landslide. 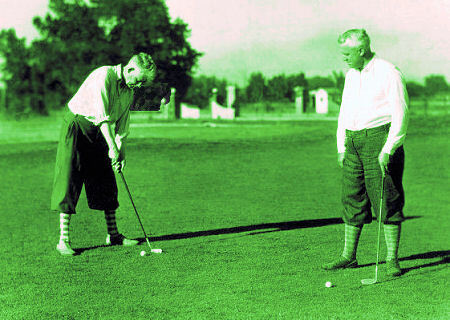 The Taylor brothers, Thomas and Arthur, eventually dissolved their partnership. Taylor Brothers continued on led by Thomas, and expanded with stores in Provo, Eureka, American Fork and Spanish Fork. Arthur Taylor organized a competing business, Dixon, Taylor, Russell (DTR) with his sons serving as officers and directors. Both businesses were prominent, successful, and respected in Utah. A common saying in Southern Utah was to speak of the "Dixon, Taylor, Russell Line" which was said to run just south of Provo, mimicking the "Mason-Dixon Line" which was said to divide the Northern and Southern states in the Civil War. In 1906, Thomas N. Taylor fostered the Provo Building & Loan Company, from which its officers received no pay. It subsequently built more than 400 homes in Provo. He was one of the original directors of the Beneficial Life Insurance Company and served until 1928. He served as the director of the Home Fire Insurance Company of Utah until his death. President Heber J. Grant, president of both of these companies, was a close friend and frequent home visitor. Not all of Thomas N. Taylor's business ventures were successful. In 1906, he helped organize Farmers and Merchants Bank, which crashed during the depression of 1932. A bank run proved to be its undoing, when loans to county farmers could not be collected. However, depositors were paid, and the stockholders, including Taylor, absorbed the losses. Taylor was also a director of the Provo Woolen Mills, and of the Mapleton Sugar Company, losing money in both ventures. His best paying venture was his 52-acre farm and orchard on the Provo Bench. He was dedicated to Brigham Young University and was a frequent visitor to the campus. He served as BYU Alumni President in 1912-1913. He was a member of a committee that finished paying for the Maeser Building on the Upper Campus. Taylor spearheaded many financial drives to aid the fast-growing university, and worked closely with President Franklin S. Harris, when Harris was chosen President of BYU. In 1948, he was given the BYU Alumni Association's Distinguished Service Award. Overall, he was recognized as an outstanding church, business and civic servant. The Provo Chamber of Commerce honored him by organizing a community testimonial, where he was eulogized by leading citizens of the community and state. Taylor loved good music, was a patron of the arts, an enthusiastic BYU sports fan, played a little tennis and golf, and aided many students with jobs and money. He sought to preserve new scenic sites in the mountains. He travelled twice to Europe, once with his mother and daughter Ethel, and in 1913 with Dr. Horace G. Merrill and Merle Merrill. He returned home on the Lusitania with his son Sterling, who joined their party in Naples. Taylor lived a happy life that was often stormy and exciting. He was always passionately involved in a good cause. T. N. T. was an apt nickname for him, and he lived up to it with enthusiasm. Thomas Nicholls Taylor died on October 24, 1950 in Provo, and he is interred in the Provo City Cemetery. --Special thanks to the family of Thomas Nicholls Tayor for permission to use information and photos on this webpage.